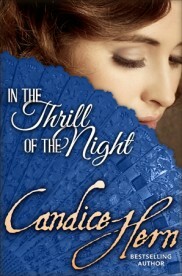 The hero of In the Thrill of the Night, Adam Cazenove, and his late friend David Nesbitt were connoisseurs of art who were sponsors of the British Institution. The Institution is not fictional, but played a significant role in British art during the 19th century. 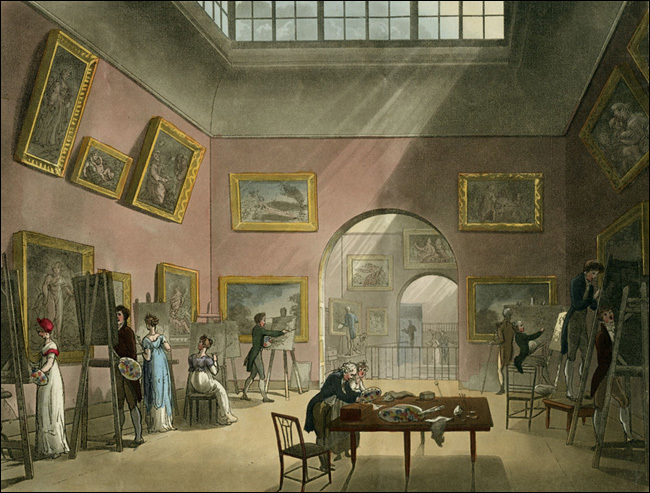 It was founded 1805 by a group of connoisseurs as an alternative to the Royal Academy, which was run by artists. The Prince of Wales was one of the connoisseurs who sponsored the Institution. There were generally two exhibitions per year. The first was of new paintings for sale by contemporary artists. These sales were extremely successful. The second exhibition was of old master paintings, borrowed from the private collections of the Institution’s sponsors and their wealthy friends, that were meant to be exemplars for students, who were encouraged to make copies of the paintings as a form of study. The British Institution from Ackermann’s Microcosm of London. In 1807 an annual competition was instituted based on an idea by the late Sir Josuah Reynolds. Students were to paint a companion piece to one of the old master paintings on display. Cash prizes were awarded for the best paintings. 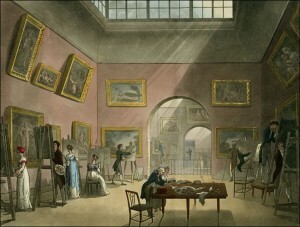 The print shown here represents the gallery at a time when students are at work on their companion pieces. You will note there are women students included. The British Institution was much more open-minded about female painters than the Royal Academy. The Reynolds exhibit being organized during the course of the book actually did take place in 1813. It was the first retrospective exhibit ever held for a British artist.